Savers and investors with the North East’s biggest building society have helped hit a new fundraising milestone in support of our work. The thousands of NBS members that have since opened one or both of the Foundation accounts have now helped to raise over £1.5 million, with more than half a million pounds being donated in the last 12 months alone. 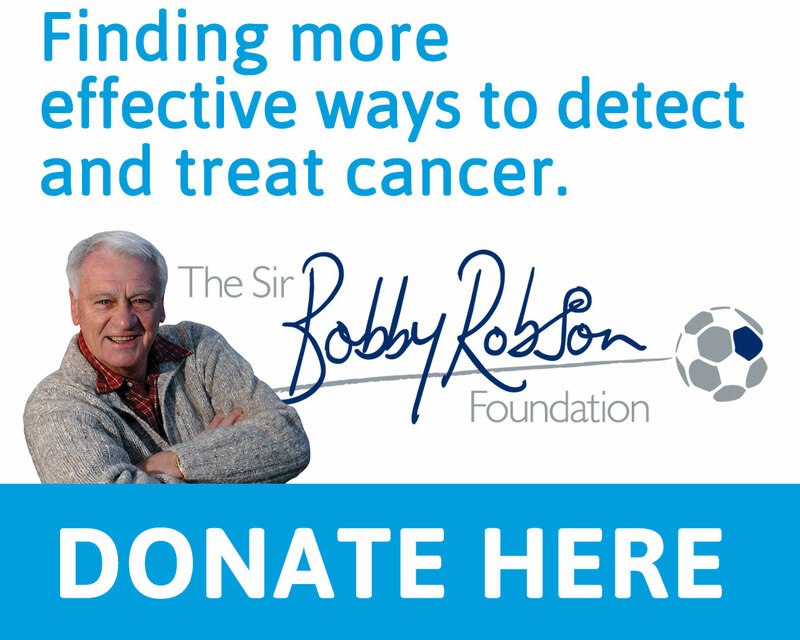 Newcastle Building Society is the largest corporate donor to Sir Bobby’s Foundation, which has now raised more than £9 million to support the search for more effective ways to detect and treat cancer. Andrew Haigh, chief executive at Newcastle Building Society, says: “The esteem in which Sir Bobby and Lady Elsie are held within our heartland area, the positive impact that the Foundation has in the North East and the attractiveness of the products we created have all combined to help us raise far more than anyone expected when we first set up our partnership. “As a mutual organisation, one of our core values is to provide practical support to the communities in which we work, and working with the Foundation really brings this to life in a way that will benefit people across the region over the long-term. 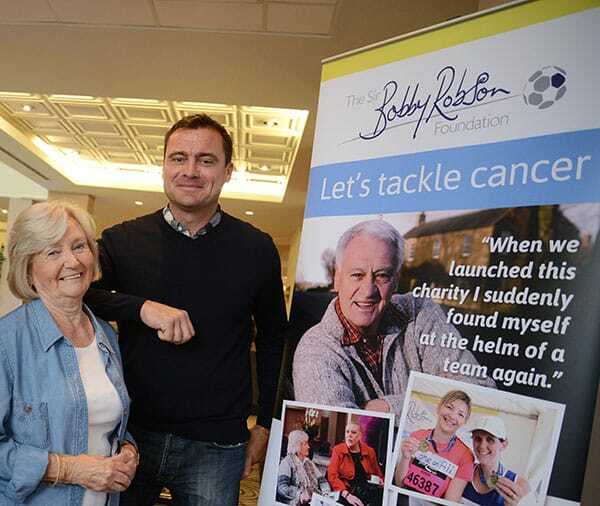 The Sir Bobby Robson Foundation funds projects within the Newcastle upon Tyne Hospitals NHS Foundation Trust, and as well as benefiting cancer patients across the Society’s heartland area, it also contributes significantly to the global fight against the disease. Around 650 new patients receive treatment at the Centre every year, while more than 1,600 participants have been enrolled in other research studies since April 2010 (around 260 people each year), studying the biology and genetics of cancer to help develop and improve treatments. Lady Elsie adds: “We work closely with Newcastle Building Society and it’s marvellous to see how that partnership is thriving. “We’re very grateful to the Newcastle for thinking of us and, of course, to everyone who has helped our work by choosing one of these accounts. 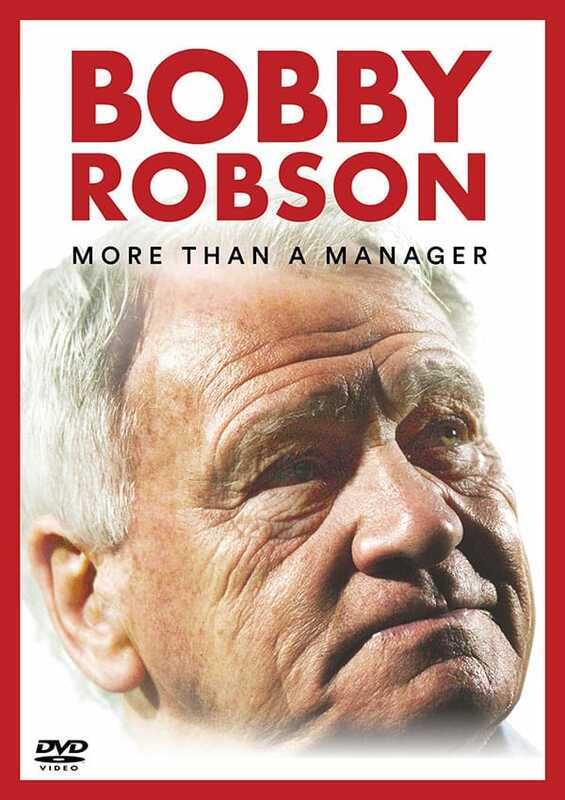 For more information on Newcastle Building Society’s Sir Bobby Robson Foundation-linked accounts, please visit http://www.newcastle.co.uk/savings/sir-bobby-robson.aspx.